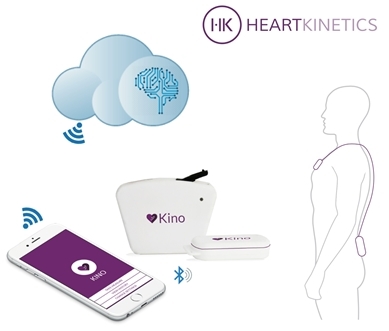 You are here: Home \ Ehealth \ ViViDoctor featured in ArtsenKrant! ViViDoctor CEO Sidar Ok was interviewed in the prestigious Flemish Journal for Doctors – ArtsenKrant. Here are some highlights from the interview. You can read the full article in English on the website of ViViDoctor. In Belgium, video consultations are about to become reality. Still, this form of telemedicine has many advantages, both for patients and doctors. A new initiative combines this kind of consultations with yet another trend: that of (health) service on demand. ‘See a doctor anywhere, anytime’ reads the homepage of www.ViViDoctor.com. It summarizes well what the application stands for. The website offers a reservation system that allows patients to book an appointment for specific medical complaints with a doctor at a distance. The consultation then takes place via video conversation between doctor and patient. With Vividoctor, the founders want to ‘bring healthcare to the people’, explains CEO Sidar Ok. ‘See it as a virtual visit to a Doctor’ (Vividoctor stands for virtual visit doctor, ed.). With treatment Sidar Ok means: diagnose, follow up of a complaint, advice, and prescribe medicine. ‘Of course we won’t do surgeries at a distance, we only do what is possible remotely.’ Specialists in the database of ViVidoctor consult on diabetes, dermatology, stroke, oncology, pediatrics, psychiatry and wound care. An example of a dermatological consult is for instance the follow up after radio therapy. ‘How does a patient react to the treatment, does he not have too many side-effects?’, explains Sidar Ok.
ViViDoctor also collaborates with family doctors. They consult about cold, flu, fatigue, diarrhea/ nausea and other ‘simple’ complaints.All these complaints are listed on the website, so patients know which kind of appointments they can book, explains Sidar Ok. Contrary to physical medical consultation where you pay at the end, patients here pay upfront, says Sidar Ok. This to avoid the known problem of no-shows. You can opt to pay for a one-time consult, or choose from different subscriptions. As an illustration: a one year prescription for one person boils down to 10 euro per month. With such subscription, patients can book as many video-consultations with Vividoctor-family doctors as they would like. ‘A reasonable price’, says the CEO. He is convinced that the video consultations will be reimbursed in the future. To demonstrate that the project will reduce the costs for patients and increas the quality of care, different pilot studies are running. The first with the Woundcare Centre, the second with University Hospitals Saint-Luc (follow up for diabetes and cardiology), the third with two psychiatric hospitals of the Broeders van Liefde, and the fourth with CHU Liege (follow up for breast cancer). The Vividoctor team has introduced their project to Maggie De Block and answered the cabinet’s call for m-health pilot projects in the beginning of July. Meanwhile, the founders are not expecting to go live immediately. In October, patients should be able to book video consultations. Interested doctors can register themselves. ‘Of course our doctors should not only be an expert in their domain, they also need to be technologically savvy and be patient oriented.’ The CEO emphasizes the latter, as video consultations do require a different contact with patients. ‘Your questions need to be well directed and you need to grasp the story of the patient quickly.’ The first curious doctors already contacted Vividoctor, says the founder of Vividoctor. ‘Most reactions are positive, but there are also questions. Click here for the PDF version as published in the newspaper (Dutch).